“To our army which is stationed at the outskirts of Tripoli. Today we complete our march ... We are going to start shortly,” he said in the video titled ‘Operation to liberate Tripoli’. There was no independent confirmation that any advance had started. UN Secretary-General Antonio Guterres, who was in Tripoli promoting the peace talks, expressed grave concern over “the military movement taking place." He tweeted a warning against the “risk of confrontation”, and called for calm and dialogue. Since the fall of Gaddafi in 2011, the country has been divided between various disparate factions. Prime Minister Fayez al-Serraj leads the Western-backed government, which currently sits in Tripoli. However, the vast majority of the country's east is under the control of Khalifa Haftar, commander of the 'Libyan National Army'. Libya is a major departure point for migrants and refugees travelling across the Sahara in the hopes of reaching Europe and any unrest could impact Tripoli's ability to manage the flow of migrants trying to reach Italy. The deal which is backed by the government in Tripoli, intercepts boats heading for Italy and returns refugees and migrants to Libya. Much outrage against European migration policies have been caused by the criminalisation of search-and-rescue operations in the Mediterranean, the deadliest sea route in the world. However, there are reports of refugees and migrants dying in horrific conditions after being sent back to Libya as a direct result of EU policy. The EU Delegation to Libya said in a statement that it was "deeply concerned by the military buildup underway in Libya" and urged "all parties to seize the opportunity of the visit of UN Secretary General Antonio Guterres to engage in a spirit of compromise in order to avoid further bloodshed and build a better future for all Libyans." 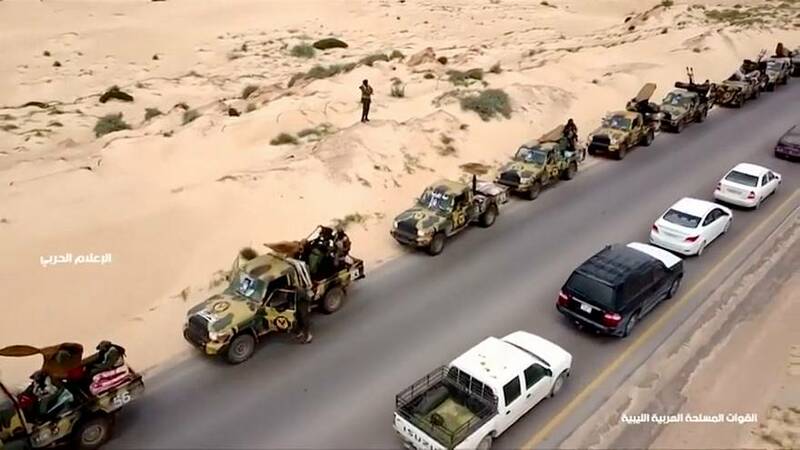 "We strongly believe that there is no military solution to the Libya conflict," they added.